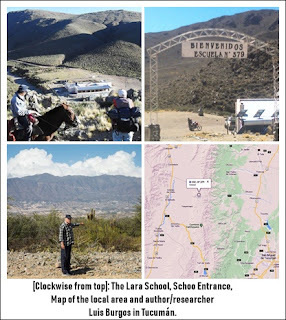 Lara is a small town of the Cumbres Calchaquíes region, belonging to the department of Tafí del Valle in the Province of Tucumán, 3800 meters above sea level. 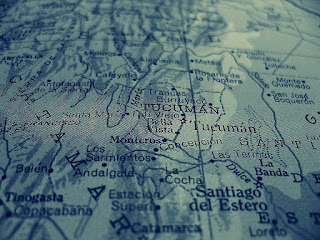 Some 170 kilometers separate it from the capital city of San Miguel. The population is semi-nomadic, a gathering of some forty families whose children attend mountainous State School No. 379. Most of them live at the school from Monday to Friday. It takes several hours to get there in a 4x4, for example, but much longer if the journey is made on foot or horseback. Many visitors experience the infamous “apunamiento” (mountain sickness). Fortunately, a pickup truck was obtained years ago to convey the transfer of staff and students. The teacher, astonished, began asking all manner of questions from her colleagues and local residents. She was told by way of reply: “This isn’t the first time it’s happened. We’re used to seeing the spaceship.” Pascual, interested in the UFO subject, was the first to learn of this from his daughter and made me aware later on. It was not possible, however, to follow up the story with the teacher who had witnessed the event. The story left a number of juicy unanswered questions. There is no doubt that a recurring phenomenon of such magnitude is far removed from the realm of “distant lights in the night” and fits squarely into the category of “large-sized diurnal objects”. The first thing we can assume is a “near-coexistence” between this intelligence with the dwellers of these inhospitable areas, habitués of strange landscapes. This leads us to suppose, faced by this behavior and impunity of movement, that the craft have a permanent or at least periodical residency in the region, engaged in activities that are obviously unknown to many, whether the witnesses themselves, journalists, ufologists and armed forces – at least we believe this to be the case with the latter. The lone question is: What has been prowling this region for such a long time now. For a moment, envision the prevailing situation: Daytime craft instead of lights, considerable sizes instead of small points of light, slower speeds, no supersonic escapes, sightings of these artifacts on repeated occasions, etc. In short, all of this nearly comparable to the passage of aircraft in our skies. Is this possible? Yes. It is not the only area in Argentina where such events take place. 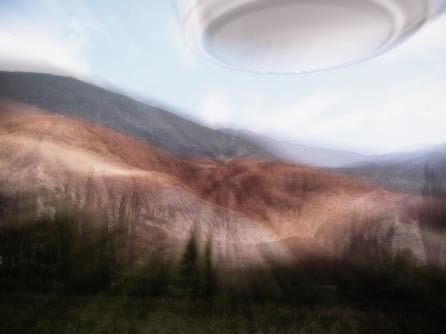 The country has not only UFO “hotspots”, but also feature very specific areas in which the Phenomenon acts out. We believe that Lara and its surroundings fall into this category. 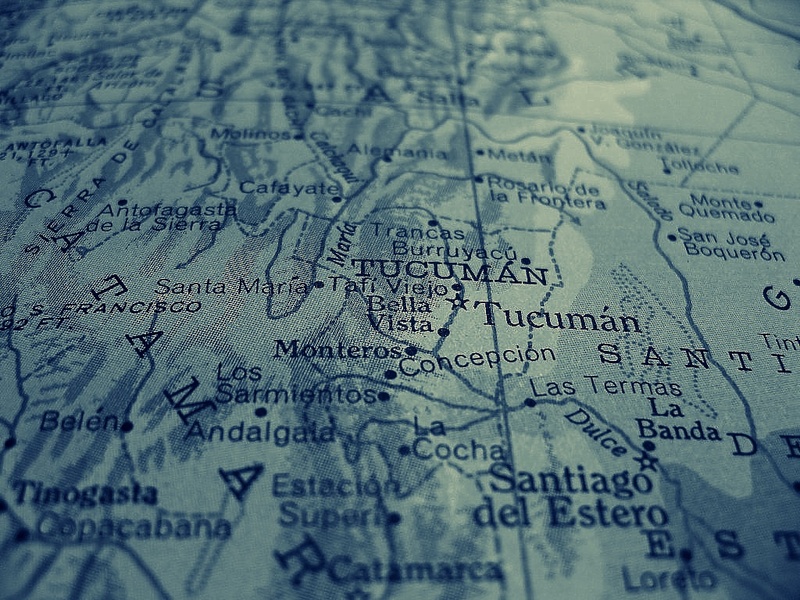 We know that ever since the memorable and exceptional Trancas Case (1963) the province was always known to have a significant UFO case history, to the extent that it was among the Argentinean regions with most UFO sightings, despite its reduced size in contrast with far larger provinces. This is what we find in our database of 5500 Argentinean cases. We cannot overlook the fact that the area in which the Lara School is located is rather close to localities with frequent sightings of “mysterious objects” such as San Pedro de Colalao, 27 kilometers distant in a straight line; Choromoro, 40 kilometers away; Vipos and even the Village of Trancas itself, 48 kilometers distant. Much like the image of the fearsome craft displayed in the “V” television series of the ‘80s or Independence Day (1996), it is hard to find a case of a similar UFO manifestation during daylight areas for purpose of comparison with the Lara School incident. 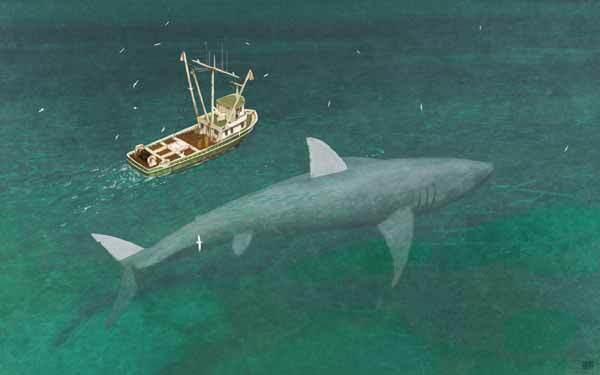 I am reminded of a case told to me by ufologist Quique Mario (CEUFO) involving an immense vessel that appeared abruptly behind a lagoon, only to park itself over a school in the interior of La Pampa. Or the transit of a UFO over a little rural school in Catamarca, where the teacher, Mr. Flores, caused his students to draw the strange objects they had seen flying over the vicinity of their institution. Perhaps the only difference with these cases, which surely caused astonishment among teachers and students, is that the school in Tucumán was already accustomed to the phenomenon’s presence. When Juan L. of our own FAO La Plata visited the Northwest around 2009, he could never have imagined what took place only a year earlier in the Valles region. Therefore, the unidentified activity will continue around Lara with impunity. Perhaps current and future investigations will lead to more surprises in that area. Publicado por Terra Incognita en 2:23 p. m.